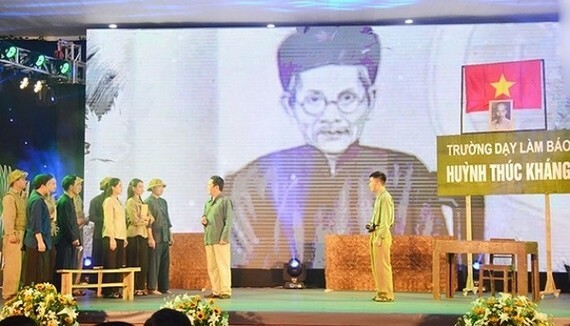 The Vietnam Journalists' Association (VJA) in collaboration with the Party Committee and People’s Committee of the northern province of Thai Nguyen organized a ceremony marking the 70th founding anniversary of the Huynh Thuc Khang School of Journalism (April 4, 1949). Speaking at the meeting, Mr. Thuan Huu, member of the Party Central Committee (PCC), the editor-in-Chief of Nhan Dan Newspaper, Deputy Head of the PCC Communication and Education Commission, and Chairman of the Vietnam Journalists Association said that the school was established by the late President Ho Chi Minh to teach social media and writing skills in the anti-French resistance war. Prominent lecturers from the school were late Party General Secretary Truong Chinh, General Vo Nguyen Giap, revolutionaries Hoang Quoc Viet and Tran Huy Lieu, poet To Huu, writers Nam Cao and The Lu. 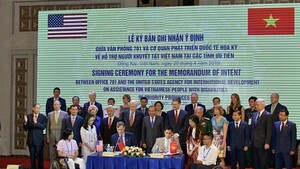 The country currently has many journalism schools, more than 900 press agencies, over 50,000 journalists , including 24,000 members of the Vietnam Journalists' Association.